For this post, I have put together a collection of the best outdoor motion sensor lights currently available. I have include a range of styles so you can find the right look for your house. 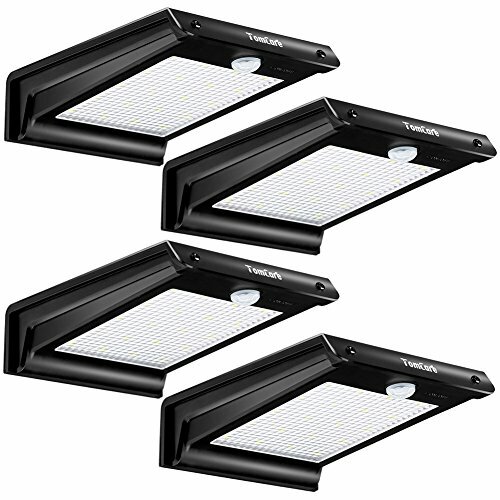 The following lights use the latest innovative components to meet your needs and keep you out of the dark. 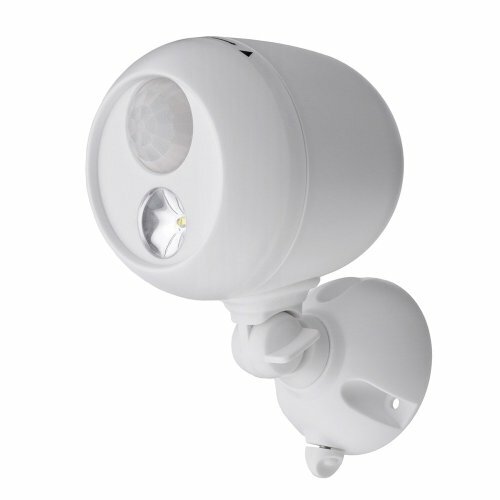 So here is my list of The 10 Best Outdoor Motion Sensor Lights. LED light for your garden, backyard, deck, porch, patio, pond, veggie patch, driveway, or any outdoor location. Weatherproof and heatproof, it can be installed without fear of environmental damage. During the day the solar light will automatically switch off to save energy. At night it will turn on when motion sensor detected so you can find your way. Only takes 6-8 hours to fully charge. Turns off 30 seconds after motion stops. Aolar panels capture the sun's energy during the day, providing up to 12 hours lighting after fully charged. Auto On/Off when motion sensor detected. Up to 3 meter and 120 degree detection range. Coach-style lantern allows you to take advantage of the convenience and energy efficiency of a motion-activated outdoor light without sacrificing aesthetics. Detects motion in a 150-degree radius with a range of up to 30 feet. You can set the light timer to one, five, or ten minutes. Motion sensor itself may be adjusted to give you more or less sensitivity (so it doesn't light up every time a car drives by). 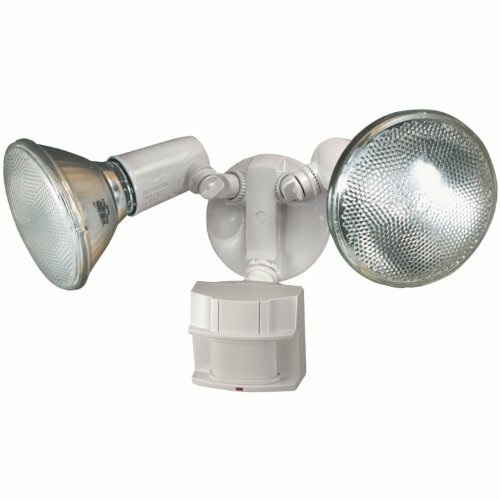 Fully adjustable: adjust the timing of the light, set the range of the motion sensor perimeter, and modify the direction of the light. Not only can you rotate the cap, you can also adjust the head of the fixture, changing the direction of the light. Need different coverage? You can change the direction of the motion sensor. Advanced security level, with a 150° infrared motion sensor. IP Rating of 65, is dust-tight and can withstand harsh weather conditions. Able to withstand extreme temperatures, ranging from -22°F to 120°F. Beam angle of 100° allowing it to cover wide areas. This Mission-inspired outdoor wall light comes in black finish, and features an understated cage over seeded glass. 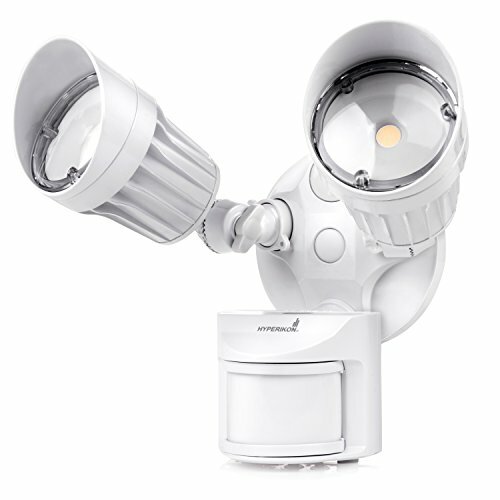 The design is outfitted with both a motion sensor and a dusk-to-dawn photocell sensor. The sensors offer added security for your outdoor garage areas and porches. 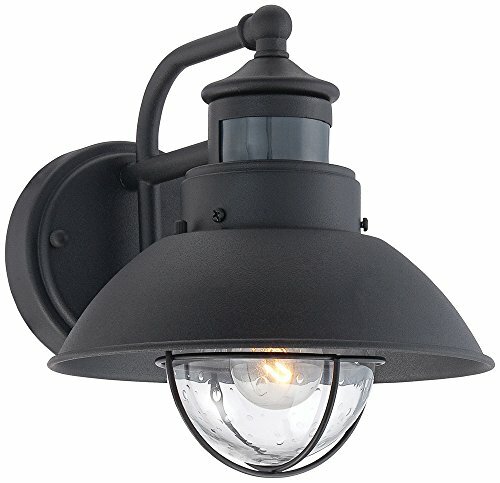 A smart motion sensor outdoor wall light by John Timberland with a dusk-to-dawn photocell sensor in a classic black barn light style. Dusk-to-dawn mode, or a motion sensor mode. Sensor has a 220 degree motion sensor, 10-40 foot range. Features 150-degree motion detection up to 70-Feet with a metal housing for durability. Lights are activated when motion is detected, so there's no need to waste electricity by leaving the lights on all night. Choose between three auto modes — 1, 5, or 10 minutes of illumination after motion triggers the light. 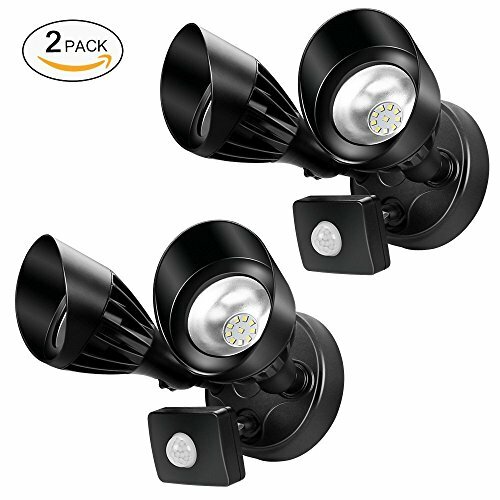 When constant light is needed, this motion-activated light has a manual override mode that allows it to function as switch-controlled light for constant on, dusk-to-dawn lighting. Uses superior pulse-count motion detection technology, which prevents false triggering by reading heat and movement in pulses as opposed to single occurrences. In addition to being Energy Star certified, this model meets California's Title-24 energy efficiency standards for residential and commercial buildings. Change detection distance from minimum to maximum by switching the button counter-clockwise. The light will turn on once motion is detected. Extend the lighting time from shortest (about 10s) to longest (about 180s) per illumination by switching the button counter-clockwise. Change different modes from daytime (the light works even during daytime) or night (the light only works when it is completely dark) modes by switching the button counter-clockwise from ‘Sun’ to ‘Moon’ icons. Automatically turns on when motion is detected and comes equipped with 80 super-bright white LEDs in ABS plastic housing for added durability. Amorphous solar panel charges 3 x AA rechargeable batteries, ensuring reliable lighting power for whenever, wherever you need it. Detection distance: 30 feet; Detection range: 180 degrees. Amorphous solar panel works in all daylight conditions, even on cloudy days. No main power or wiring required. Time: determines the duration of the light once motion is detected: 30 seconds, 60 seconds or 120 seconds. Distance: controls the distance of the range of motion detection: low, medium or high. Turn on automatically dusk to dawn, when the motion is detected with a range of 180 degrees and max 49 feet. Test Mode: Help to quick adjust and testing the light before installation or after maintenance. When sensor detects you, light will turn on for 6 seconds in day or at night. Switch to 30S, 60S or 120S position. Each of these positions allows the fixture to go into AUTO motion sensor mode. Each of these settings indicates the time frame that the light will remain on after detecting motion. 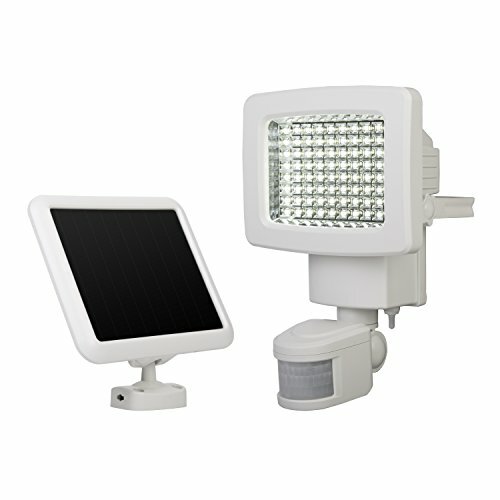 LED solar lights are charged directly from the sun, so you never need batteries or power cords. Installs in minutes with no wires or switches. Automatically shuts off after 1 minute and resets for the next motion activation. Waterproof, weather resistant for outdoor use. After full-charge it can keep working for more than 10 hours. LED Motion Sensor Light with a large sensor - sensing range up to 10 feet with a 120 degree angle. LEDs put out 140 Lumens of bright white light, covering over 350 square feet. Instantly turns on when motion is detected after dark. Can detect motion from as far as 30 feet away, with 180-degrees of motion. Auto Shut-Off deactivates light after 30 seconds of no motion detection, conserving battery life. Attach anywhere, a house, garage, shed, or even a tree using the included mounting screws. Tight seals and weather resistant materials allow it to work in all weather conditions. 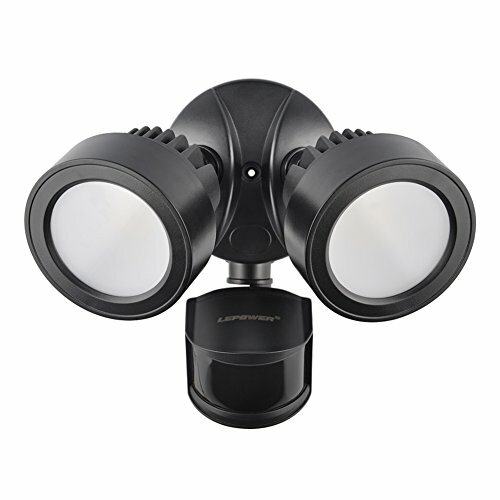 I hope this list of the best outdoor motion sensor lights was helpful.